A little over a week ago, we welcomed the first of April 2019 as we always do–on high alert of incoming April Fools Day pranks. As per usual, brands of all sorts–from McDonald’s to Tinder–participated in prank day (check out our favorite pranks here). And also as per usual, some pranks were brilliant while others failed to hit the mark. For the most part, April 1st was a day of good-hearted fun on the Internet yet still one question remains. Why in the world do brands spend money on pranks? To answer that question, we’ll take a walk back into history beginning in 1983, where BMW kicked off a new tradition of April Fools Day pranks through print advertising and thus became pioneers of brand pranks. 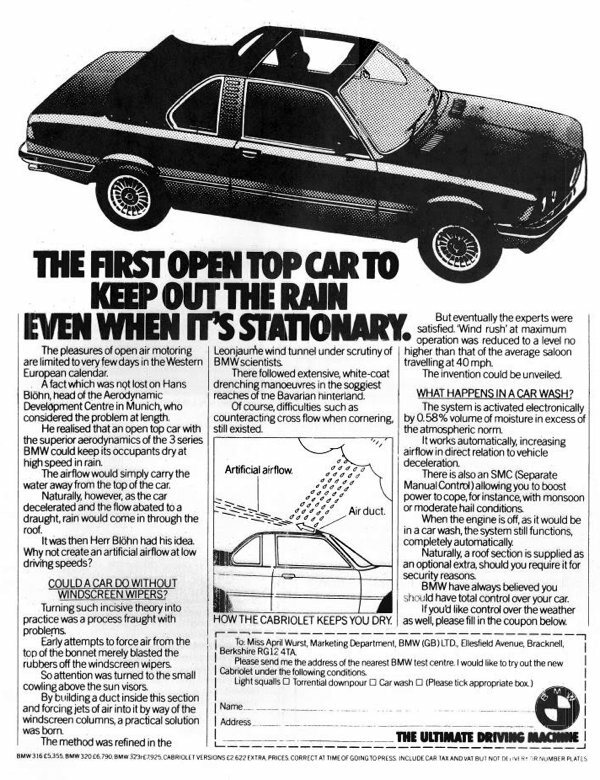 The first prank was an advertisement promising the world’s first “rain-deflecting open-top car”. Nearly a decade of pranks followed including the road warming lasers prank of 1989. Despite BMW’s “success” with April Fools Day pranks, the European car company was in a company of few when it came to brand pranks pre-social media and YouTube days. For years, April Fools Day pranks were the purview to local radio stations and newspapers. Fast forward to 2008, when YouTube and social media kicked off their heydays. In what was perhaps one of the greatest April Fools Day pranks of modern times, YouTube quite literally rickrolled the world by redirecting all video links to the music video for Rick Astley’s famous 80’s hit, Never Gonna Give You Up. The video platform’s competition that year included Nestle, who unveiled a “shorter, more contemporary” new name for their delicious Butterfinger candy bars–The Finger–and, of course, BMW who revealed their new “Canine Repellant Alloy Protection”, a product that would keep dogs from peeing on your car. From 2008 onward, April Fools Day has become an unspoken invitation for even the most serious brands to expose their silly side. At least, that’s how the rest of us see it. The truth is, even April Fools pranks are a part of every participating brand’s marketing strategy and though it is an opportunity for brands to have a good laugh, most pranks are planned with an ulterior motive. The most common reasons behind brand pranks are low-level product testing and low-cost advertising. Product testing, you ask? Indeed, some of our favorite April Fools Day pranks of yesteryears were actually visions of a future still to come. In 2007, BMW’s prank was centered around instant messaging in your car powered by technology that allowed you to use your voice to “type” messages from your vehicle. Today, nearly all new cars have this very feature. While we’re pretty sure this particular prank wasn’t actually a product test, pranks like Burger King’s 2019 Impossible Burger are a different story. In BK’s case, the Impossible Burger, an all plant-based burger is in the works. 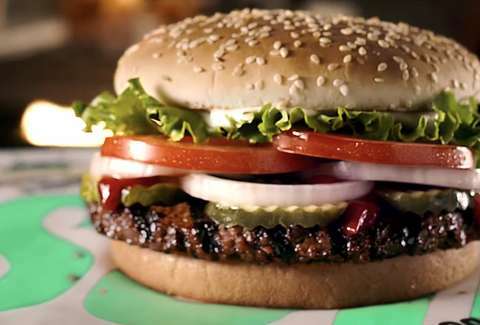 Burger King’s Impossible Whopper is now being tested in St. Louis, MO locations. Some brands like ThinkGeek turn their April Fools Day pranks into limited quantity products consumers can actually buy while other brands simply use the day as a good reason for cheap advertising by showing their fun side. In the end, all brands who participate in prank day have one ultimate goal in mind–to turn consumers into brand customers. 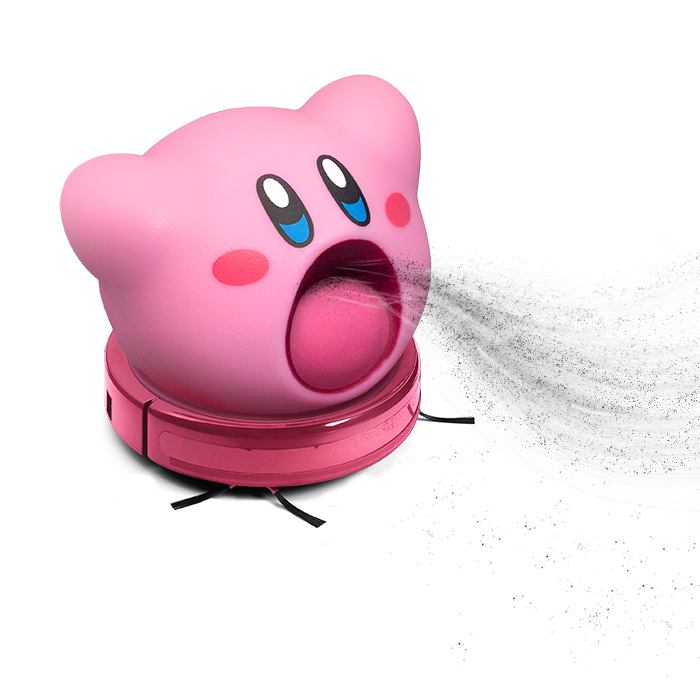 ThinkGeek’s Roomby: Kirby Robot Vacuum was a hilarious April Fools prank..but now you can buy it on their website for a cool $299.99! Want to know if April Fools Day 2020 should be part of your future marketing goals? We have the answer. Request a consultation with Momentum Consulting today to find out how we can help you create a dynamic, profitable marketing strategy for your business.